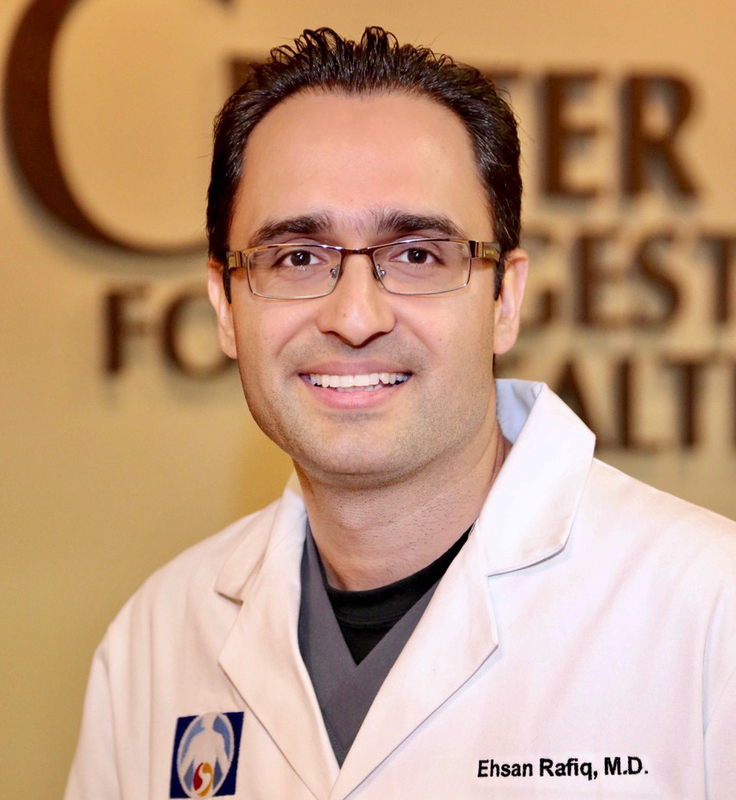 Dr. Rafiq is the latest addition to our team at the Center for Digestive Health. He earned his medical degree from King Edward Medical University. He completed his Internal Medicine residency at The University of Toledo where he was later appointed as Assistant Professor of Medicine. He then proceeded to do his fellowship in Gastroenterology at the University of Toledo and served as chief fellow in his final year of fellowship. 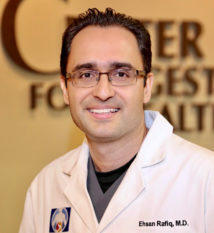 Thereafter, he moved to Orlando for his Advanced Therapeutic Endoscopy fellowship at the Center for Interventional Endoscopy at Florida Hospital. Dr. Rafiq practices all aspects of general gastroenterology including inflammatory bowel disease and liver diseases with special interest in pancreaticobiliary disorders and advanced therapeutic endoscopy. His procedural expertise includes Endoscopic Ultrasound, therapeutic ERCP, endoscopic ablation and resection of Barrett’s esophagus, endoscopic mucosal resection of large polyps and double balloon enteroscopy. Dr. Rafiq has authored numerous peer-reviewed publications and abstracts in addition to presenting his work at various national meetings. Dr. Rafiq is board certified in Internal Medicine and Gastroenterology. He is a fellow of American College of Physicians and a member of American Society for Gastrointestinal Endoscopy, American College of Gastroenterology and American Gastroenterological Association. Dr. Rafiq speaks English, Urdu, Hindi and Persian.